The longterm benefits aren’t just a myth. To the chagrin of Eastern medicine, meditation tends to fall under the broad umbrella of “wellness”—a catchall term used to describe Western society’s collective obsession with maintaining good health. Lumped together with trends like crystal healing, nutritional supplements, and sound bathing, meditation is—unfortunately—often met with a dose of skepticism. But unlike these health trends, which are typically characterized by a lack of scientific evidence and a wellspring of anecdotal praise, meditation does not have the shelf life of a nineties fad diet. Not only has this ancient practice served as the spiritual backbone of countless cultures for decades, it’s been extensively studied and scientifically corroborated many times over. Studies have linked mindfulness meditation to a host of mental and physical benefits, including improved self-esteem, decreased social anxiety, improvement in symptoms associated with anxiety and depression, sharpened focus, migraine relief, and more. But considering how difficult it is to quantify spiritual experiences, we tapped Sarah Romotsky, R.D., head of health and science strategy at Headspace, for an in-depth look at what meditation actually does to the body and brain over time. Here’s exactly what to expect when developing your meditation practice, from day one to day 30. Consider a short meditation session if you’re overwhelmed at work, having trouble falling asleep, or experiencing a bout of heart-racing anxiety. She references studies showing that after 10 days, meditation through digital apps can increase happiness, resilience, and satisfaction with life, and reduce irritability and negative emotions. 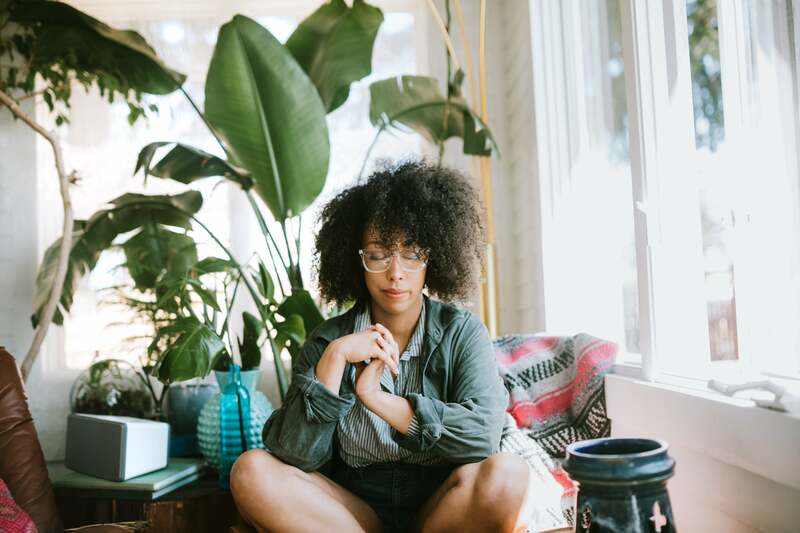 More specifically, “a meditation practice can enhance areas of our brain associated with focus and critical thinking, and actually shrink an area of our brain, called the amygdala, associated with how we experience stress, anxiety and fear,” she explains. “One month of meditation will still bring all mental, emotional, social, and physical health benefits of meditation and by this point, the practice should start to feel a little easier.” As it turns out, then, tuning out the rest of the world may just be the best thing you can do to give your brain a tune-up. Set the mood with Woodlot’s Palo Santo incense. Harvested from naturally fallen branches of the Palo Santo tree in Ecuador, it purifies indoor air and naturally wards off mosquitoes outside. You can meditate anywhere, but we humbly prefer this Lululemon yoga mat. We can’t resist an incense holder that doubles as a decorative knick knack; Zara Home’s Mother of Pearl version would easily elevate a makeshift meditation space.